It’s all about Easter this week! Thanks to all my blogging friends we’ve rounded up over 100 Easter party ideas! We’ve got everything you could possibly need including Easter basket ideas, delicious recipes for an out-of-this-world Easter brunch, crafts and meaningful activities for Easter (including my FREE Easter Book for Children and Easter Activity Book and Printables), and some gorgeous ideas for DIY Easter Party Decorating. 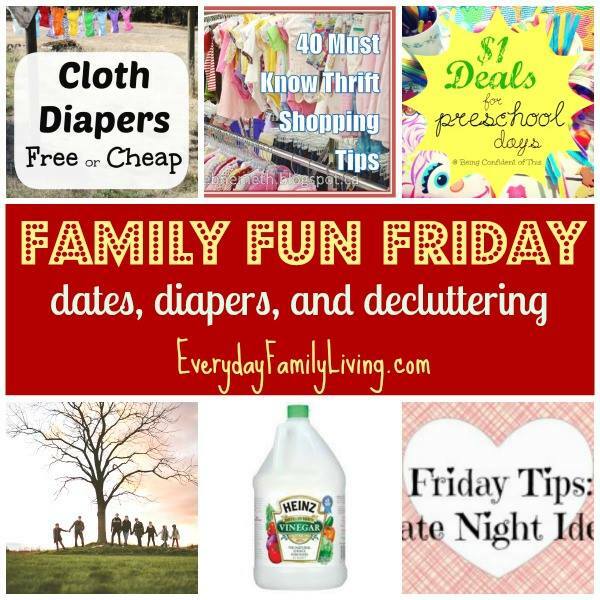 And in case you love saving money and getting organized, my friend Stephanie has rounded up the best ideas for doing both – so there is something for everyone this week at Family Fun Friday! I am in awe of all the talent from my amazing blogging friends and I’m so thankful for my readers and the amazing support of the HappyandBlessedHome.com community. Happy Spring everyone and best wishes for your Easter party planning! Family Fun Friday is all about connecting as a family. We feature great ideas for family fun, and things to help moms get things done so they have more time to spend doing what they love to do – be with family! 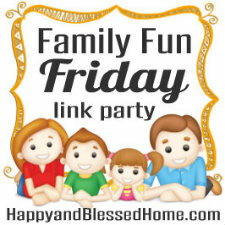 If you like Family Fun Friday, help this blog party grow by giving it a +1 on Google+. Thanks so much! If you haven’t downloaded your copy yet – don’t miss my FREE printable children’s book about Easter called, “The True Meaning of Easter.” It’s based upon the greatest story of hope ever told and focuses on how much God loves us. I wrote it for my two and four year-olds and they LOVE the story. Best of all – it’s FREE for subscribers. 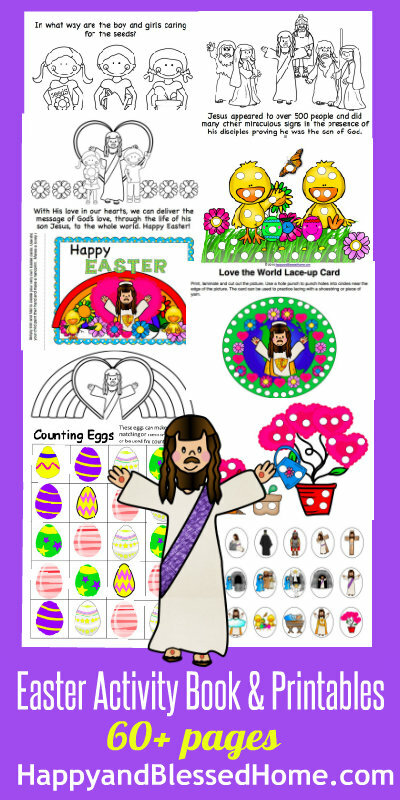 If you like the book, you’ll also want to look at the Easter Activity Book and Printables Pack, a 60+ page printable set, I created to go with the book. If you’d like to celebrate Easter with some fun activities that center on the true meaning of Easter, make sure to check out my Easter Activity Book and Printables page. It’s only $4 and your support helps me stay online – thank you! If you’d like the FREE Easter book, “The True Meaning of Easter,” sign up to become a subscriber and get a free copy of the book for your family. Subscribers, I haven’t written the post yet, but I have created FREE Letter S Printables from our Learn to Read Preschool Alphabet Study. Just click the link to download your copy. I hope to have the post out early next week. But in case you are doing a letter a week, I wanted to be sure to include the link with this post. If you enjoy FREE printables with lots of games, coloring, cutting, tracing, and fun, you’ll love subscribing to HappyandBlessedHome.com. I hope you’ll join us! Now back to Family Fun Friday! 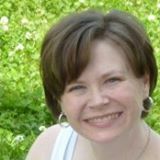 Stephanie Kay is a busy homeschooling mom of 5. 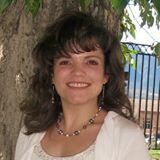 She blogs at Everyday Family Living where she shares practical ideas for home organization, family activities, books and education, and health & fitness. Follow: Blog / Facebook / Pinterest / Stephanie will feature Money Saving and Organizing Posts. If you enjoy the features on Family Fun Friday please leave me a comment, I would love to hear from you! If you see things that you like here – please PIN them on Pinterest! If you PIN these lists it will help this blogging party grow. To PIN a specific blogger’s post please click through and pin directly from their site. If you’re a mom keep reading because we have some wonderful fun ideas to inspire you with your little ones and family. My blogging friends are linking up craft ideas, fun in the kitchen, preschool & homeschool ideas, and ways to spend time as a family. My blog is growing but I need your help, please like my facebook page or PIN a button and help spread the word about HappyandBlessedHome.com. Thanks so much. 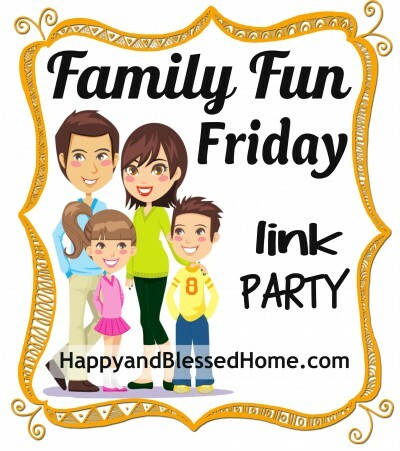 Thanks to all my blogging friends for linking up last week at Family Fun Friday. I have a special YouTube Video for you at Thank You All My Blogging Friends! So many great ideas, crafts and things to do! If you link up, you permit me to use your pictures/ideas as part of future posts and/or social media. Now on to some fabulous posts for moms. Confetti Sunshine posted a gorgeous setting for her Easter Brunch in her post Easter Brunch. I love the crisp white , ocean-blues and bright yellows in her decor. Confetti Sunshine also shared a delightful FREE printable to create your very own Easter Seeds (a.k.a.) jelly beans. Thank you for the printable! No mater what colors you use, you’ll love the tutorial by a Life in Balance for this gorgeous Felt Easter Garland. According to Barb, it only took her an hour to make. Phyllis at Grandparents Plus shared a precious DIY Spring Centerpiece – perfect for any Easter party. I also loved the Easter Egg Bouquet by Noreen at Crafty Journal. And check out the super-cute Easter place-setting for kids by Phyllis at Grandparents Plus. Beautiful Easter Egg Decorating Ideas by Leslie at Seasoned Homemaker. Each egg is piece of art. Easter Sugar Cookie Craft by Cheryl at Moms and Munchkins – these look not only fun to bake but fun to eat as well! Check out these adorable Spring Activities for Kids by We Made That. LeeAnn who blogs at LeeAnn G Taylor shared 10 Ways to Teach Kids about Easter. And if you are looking for Easter basket ideas, you’re sure to find the perfect thing in Jennifer’s post 50 Easter Basket Ideas on her blog Royal Little Lambs. I honestly believe that if you serve even one of the dishes from this list, your Easter party guests will not want to leave. Everything looks amazing! CopyCat Captain Ds Crunchy Battered Fish by Dana at This Silly Girl’s Life. Who wouldn’t love battered and deep fried fish? Yum! Sticking with some seafood ideas, check out these Bass Fritters with Herbed Cream Cheese by Katerina who blogs at Culinary Flavors. Have a look at the MOUTH-Watering Small Batch Cinnamon Rolls w/Espresso Glaze by Beth at The First Year Blog. My husband goes crazy over cinnamon rolls. These Loaded Scalloped Potatoes by Melanie at Melanie Makes blog make an excellent side dish to any meal. My kids would love to get in on creating these no-bake Chocolate Almond Butter Bites by Sherri who blogs at Luv a Bargain. I’m always on the lookout for fabulous chicken recipes which is why I like this Cheddar Chicken Pasta by Melissa at Melissa’s Cuisine. Who says Easter has to be super fancy? Why not enjoy these Not Your Everyday Ham and Swiss Subs from Marriage Motherhood and Missions. If you like grilled chicken, you’ll love this Grilled Chicken Carbonara Sandwich by Sandra at A Dash of Sanity. These Deviled Chicks are not only adorable, they look tasty too! Special thanks to Organizer by Day for sharing these! Last, but certainly not least, Christine over at I Dig Pinterest has rounded up 25 Pretty & Yummy Easter Desserts. My beautiful friend Stephanie from Everyday Family Living loves to share great ideas for saving money and getting organized and she’s decided to highlight those features at Family Fun Friday. I think you’ll love the posts she’s picked – saving money on cloth diapers, 40 must know thrift shopping tips, $1 deals for preschool days and more! Make sure to stop by her blog and check out these great features! Click on the image below or this link to some fabulous ideas for decluttering and saving money. RSS Subscribers click this link to get to my blog so you can see all the great ideas. Here is the link list, please add yours below. Thanks for linking up! If you would like to subscribe to the e-mail reminder I send for this party please send me a note on my “Contact Me” page. Thank you. If you are having trouble linking, please leave your link in the comments section and I will manually add it. Thanks! We’d like to help everyone grow their presence on Google+. Leave your link so we can all get connected! Love your round-up of Easter ideas! Thanks for including my DIY Spring Centerpiece and Easter Bunny Placesetting. Today I added a couple more. Thanks for the party! Phyllis – adopt me! And my kiddos too – I love all your fabulous ideas! Thanks for featuring my Easter Egg Bouquet! And thank you for hosting each week. Have a great weekend! Love the bouquet – it turned out so pretty! Love all those Easter ideas! Thanks for hosting. There are such great posts linked up already. Thanks Sarah! So glad you can link at the party – you always have great tips! Thank you Debbie – its so great to have you here! Thanks Monica! Have a great weekend. You too Gaye – always love your posts! Hi. New to your blog party and started following on Twitter & Bloglovin. Thanks for the party. Thanks Erlene! Welcome! Great to have you here! Thanks Cathy! Great to have you here! thank you for all the fabulousness at this fun party!! Thanks so much for featuring our Spring Activities and for hosting each week! Great having you link here Tracey! Thank you for featuring the Ham & Swiss Subs from Marriage, Motherhood and Missions! It looks so good I could eat it off the screen! Thank you so much for hosting today’s party! I THINK we just hit Spring here in Toronto 🙂 I hope you’re seeing some warmer temperatures too!! Thanks Hannah! I soooo look forward to warmer weather! Thank you so much for hosting this link up. Thank you for sharing your fabulous ideas with this community! Thanks so much for featuring the 10 Ways to Teach Kids About Easter post. I hope families are able to use the ideas to teach their children the true meaning of Easter this year through practical hands-on activities, Bible readings, and books. Thanks again! Thanks LeeAnn – excellent post!